This Mother’s Day, skip the usual suspects and get her something different. Here are some unique gifts that are just as good as (if not better than) that box of chocolates you were going to get her. From $9.90. Available on Qoo10. If your mom loves watching Korean dramas on her tablet, then this iPad stand is the perfect gift for her. The flexible and adjustable stand can be used in various positions, including while sitting on the couch or lying in bed. 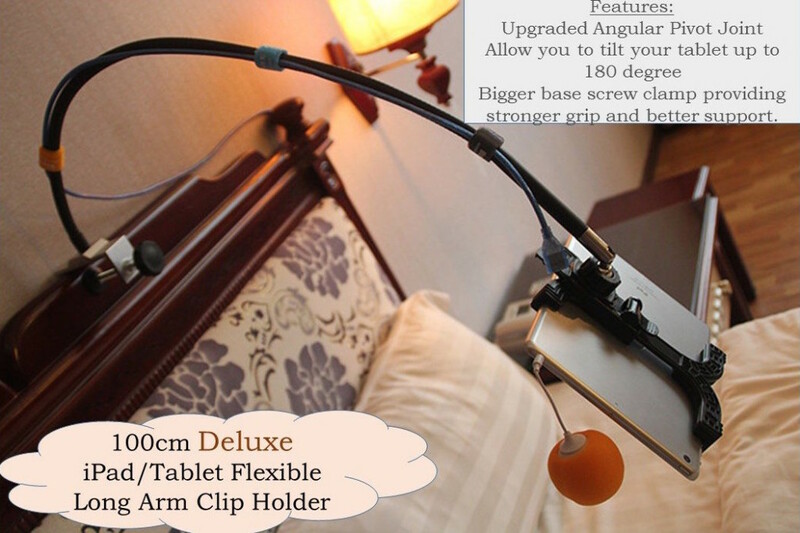 It can also be attached to a table or headboard, so it offers a hands-free experience for the user. And if she’s watching an especially sappy Korean drama, you know she’ll need those hands free to grab tissues. From $888 per table. Available here. Say goodbye to manual shuffling and dealing of mahjong tiles (and the inevitable noise that comes with it) – this automatic mahjong table will do all the work for you at the press of a button. And what better gift is there to give mom than a fuss-free mahjong game with her kakis? Also, the noise-less shuffling technology means she can play mahjong in the dead of the night, without having to contend with irritated neighbours. And FYI, the company offers round-the-clock maintenance to ensure a pleasurable mahjong experience all day, everyday. If you’re still not sold on this automatic mahjong table, watch the informative (and slightly cheesy) product video below. 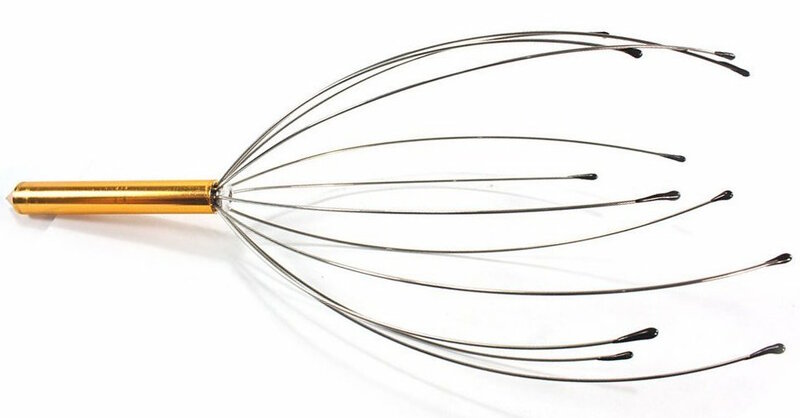 OK so this kind of looks like a torture device, but it’s actually an ingenious (and possibly life-changing) scalp massager. I mean, who doesn’t love a good scalp massage right? With this handy scalp massager, you no longer have to go for a pricey hair wash just to get a good head rub. The spokes on the tool are designed to fit the contours of the head, and are also adjustable so they can be customised to fit individual head sizes. You can even use it to massage knee joints, ankles and other parts of the body. And hey, if you want extra brownie points from your mom, you can always volunteer to give her a relaxing head massage with her new tool. From $6.52. Available on ASOS. 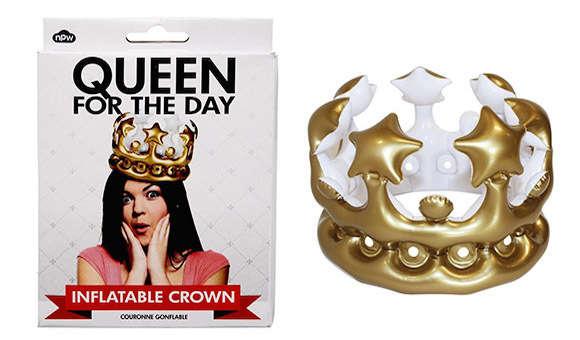 If you’re mom is a real queen (of shopping and/or mahjong), then this inflatable crown is definitely the one for her. Complete the gift by treating her like a Queen for the day – you can start by making her a royal breakfast in bed! From $6.97. Available on Etsy. If all else fails, you can never go wrong with something that really speaks from the heart. Enter: Etsy. These made-to-order frames from Etsy store Printable Wisdom have inspiring quotes on them, and make for a nice piece to display at home. And hey, every time she looks at it she’ll be reminded of what a thoughtful child you are. Also check out the other customisable items on PrintableWisdom, like mugs and cards. 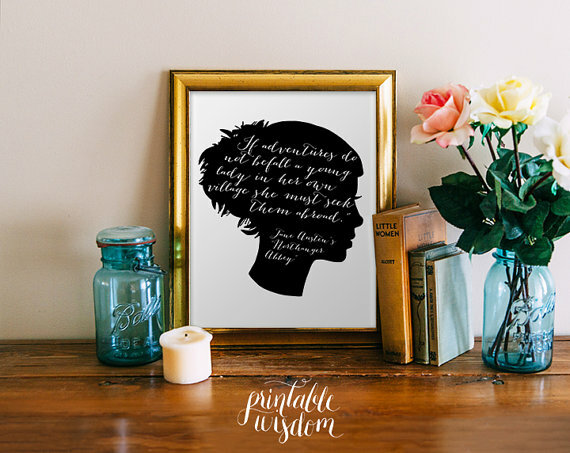 You can pick from several designs and quotes, so your customised gift for mom will be extra meaningful.